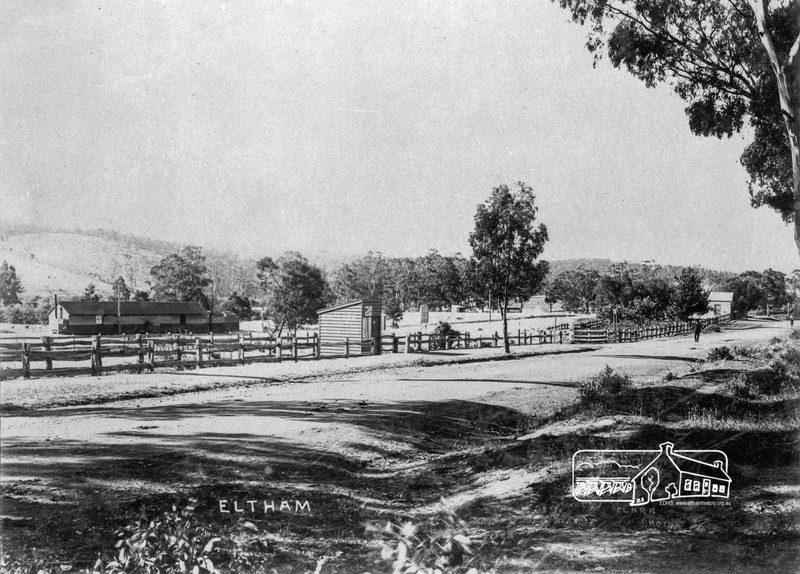 June | 2018 | Eltham District Historical Society Inc.
#ThrowbackThursday – Today we time travel back to Main Road, Eltham, c.1910, opposite the relatively new Railway Station. 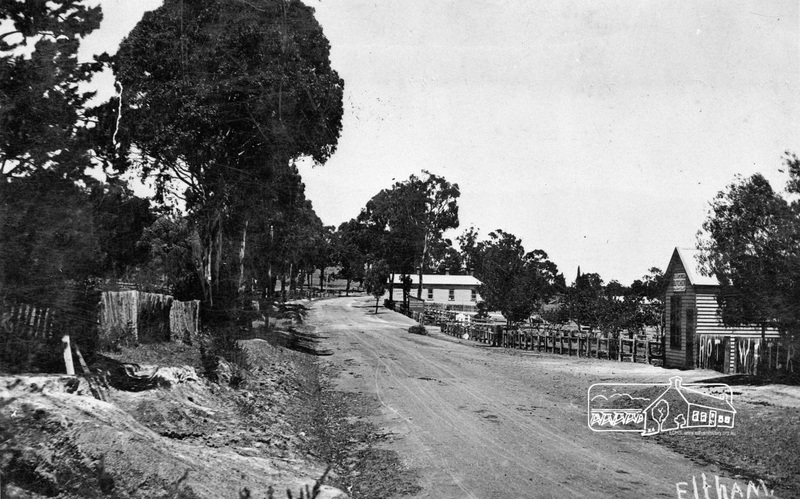 At that time and up until the late 1940s, Main Road was known as Maria Street. In this view we are standing near the northeast corner of what will become the intersection of Arthur Street and Main Road looking northwest across the road. The railway station can be seen on the left. In the centre is a small wooden shop front with H.H. Clark painted on the sides, believed to be from where Mr. Horace H. Clark conducted his estate agency and auction sales business. Further down the road to the right of picture is another shop belonging to Mr. W.J. Capewell, butcher. 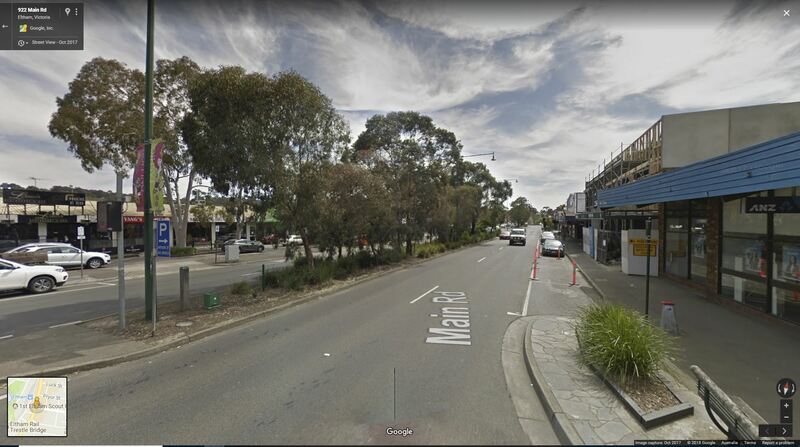 And in this view we are standing near the future intersection of Pryor Street and Main Road looking to the southwest across Maria Street. W.J. Capewell’s shop front is forefront on the right; note the Hot Water sign painted on the fence. In the distance is a larger shop, Lloyd’s General Store (later Staff’s) with Summer Drinks and Hot Water also advertised on the building’s side. This shop was located opposite to where Arthur Street is now situated. Between these two buildings can be seen H.H. Clark’s agency though you need to look closely as it is very small in size. As can be seen, the landscape has undergone dramatic transformation over the last 100 plus years. What changes will there be in the next 100? It is significant in being the first community sourced collection representing the places and people of the Shire’s first one hundred years. 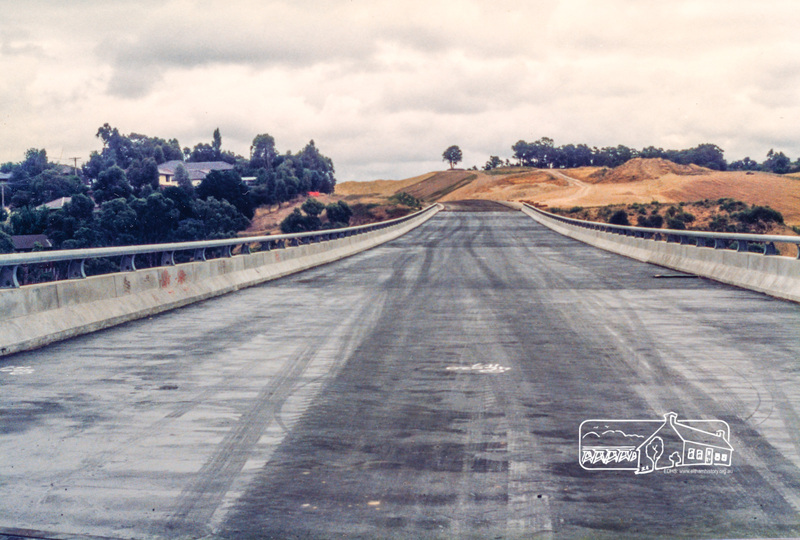 from Lenola Street, Macleod to Diamond Creek Road, Greensborough. The bypass will relieve the existing heavily congested sections of these roads, reduce travel time for motorists passing through the area, and improve safety and conditions for shoppers, residents and local traffic. 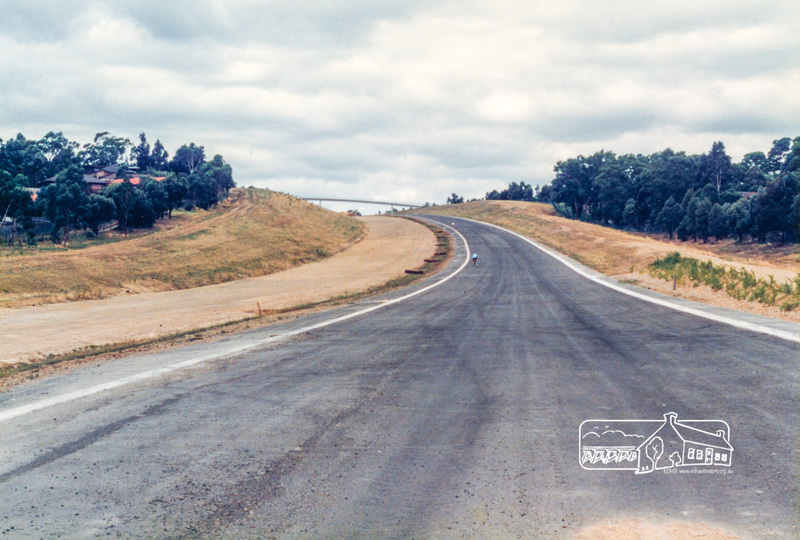 The bypass will be constructed in two stages. 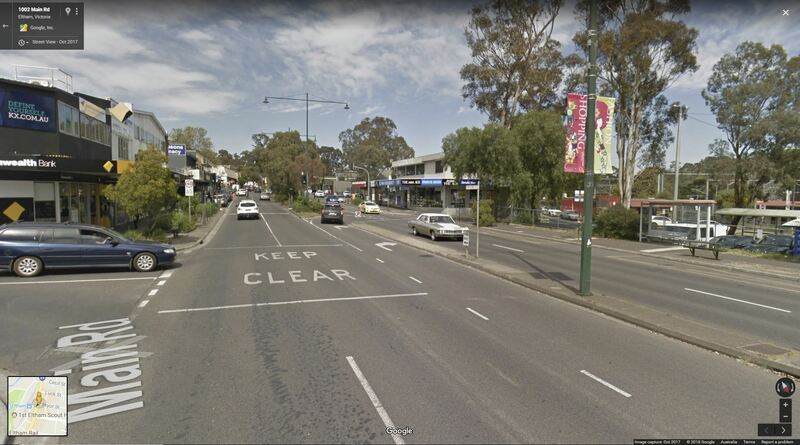 The first 3.5 km stage, from Diamond Creek Road to Grimshaw Street, will be constructed as a single two lane, two-way road with climbing lanes for east-bound traffic north of Kempston Street and east of Plenty River. 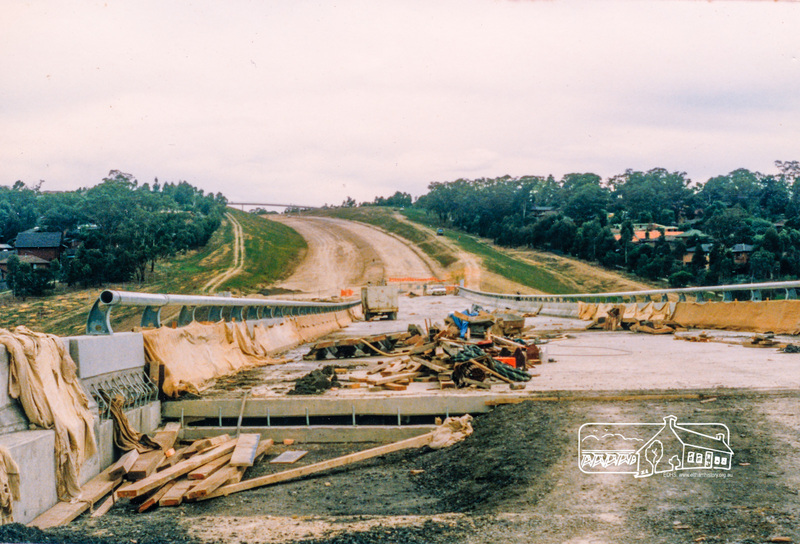 The second 2 km stage, from Grimshaw Street to Greensborough Road/Lenola Street, is being constructed as a divided road. 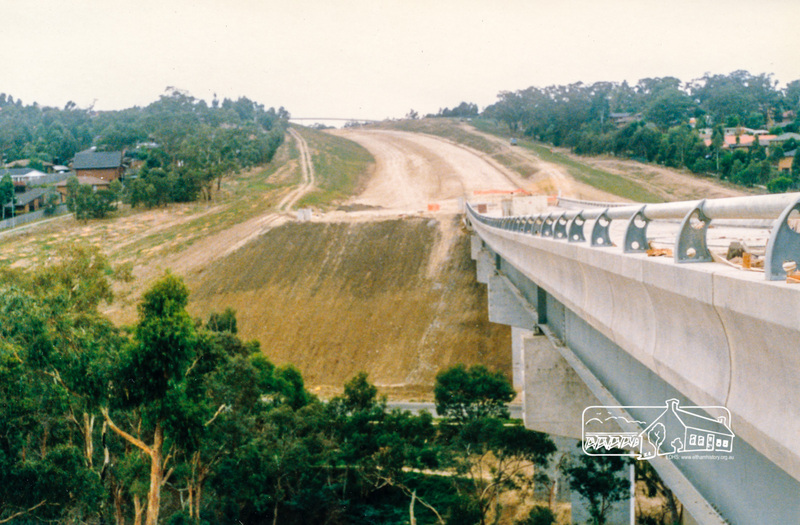 Drainage and earthworks continued during the year on the first stage and work commenced on the construction of a five span composite steel and concrete bridge over Plenty River. A roundabout at the intersection of Diamond Creek Road and Civic Drive, where the bypass is to terminate was completed during the year. 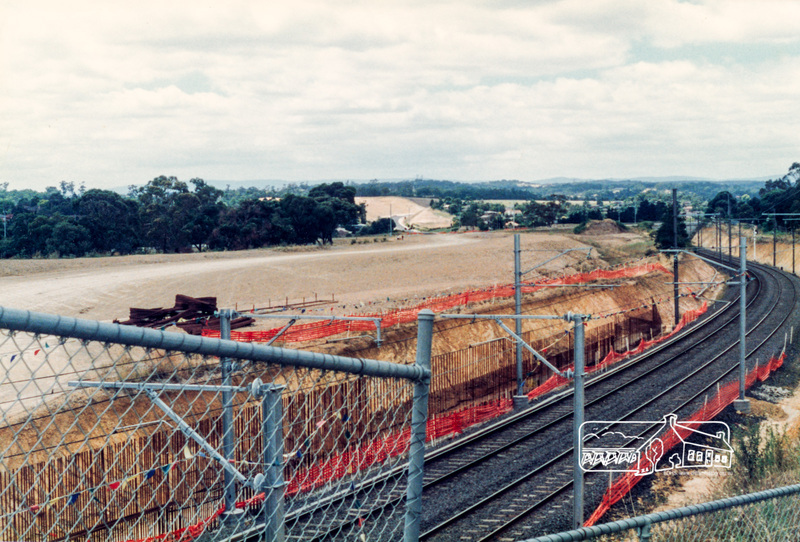 Work commenced on the second stage late in the year with the construction of a deviation of Greensborough Road near Watsonia Railway Station to allow work to commence on the new road over rail structure. 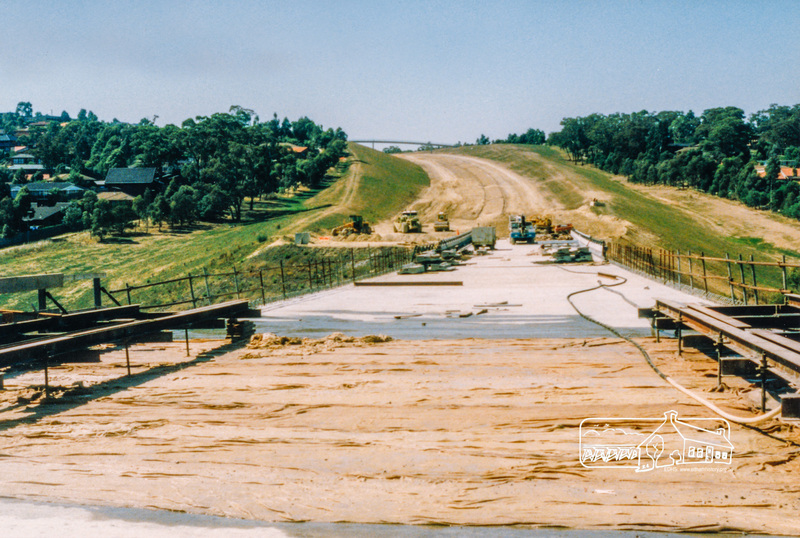 The project is estimated to cost $18 million and be completed in early 1989. 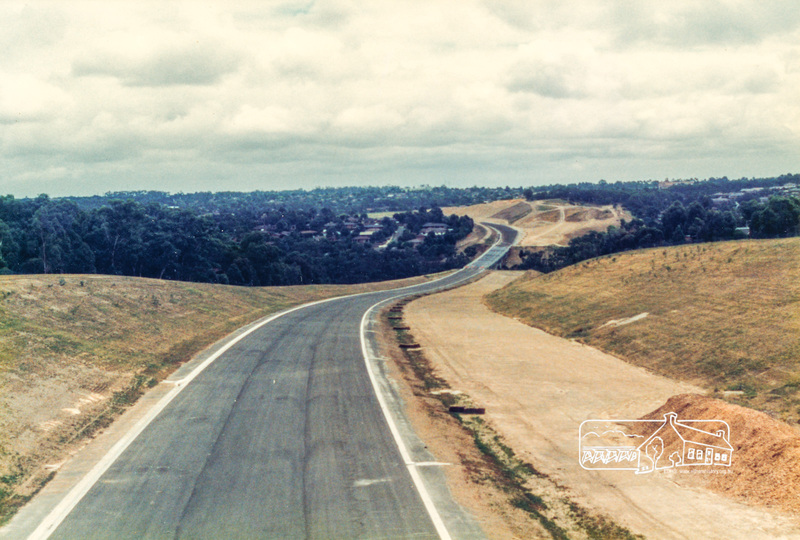 #ThrowbackThursday – Today we time travel back to circa 1966-1967 and Main Road, Eltham, just north of Bridge Street where we cast our eyes northwest across the fields that in a few years time will be developed into the Eltham Town Park and later Alistair Knox Park. In the distance, to the right, we see the recently relocated Shillinglaw Cottage and further on, the new Eltham Shire Offices, which were opened in 1965. In front of Shillinglaw Cottage is what will be developed into Eltham Common, later the site for the new Eltham Library in 1994 but presently still dominated by the Eltham Tip. To the left and behind the tip we see the iconic Eltham Railway Trestle Bridge and beyond that, Eltham Central Park and what appears to be part of the Football Club pavillion or is it part of the former Eltham Swimming Pool? Everything we see is on what was once part of the original Shillinglaw farm which covered some 30 acres bordered by Main Road, Bridge Street, the Diamond Creek and Diamond Street. Saturday, 7th July, 2018 at 2.00pm – Please note this excursion is CANCELLED due to bad weather. To be rescheduled at a later date. The Diamond Creek is a major feature of the open space spine that runs through the centre of Eltham. From the time of the first European settlement of the area most of the land along the creek valley was private property extending to the centre of the creek. 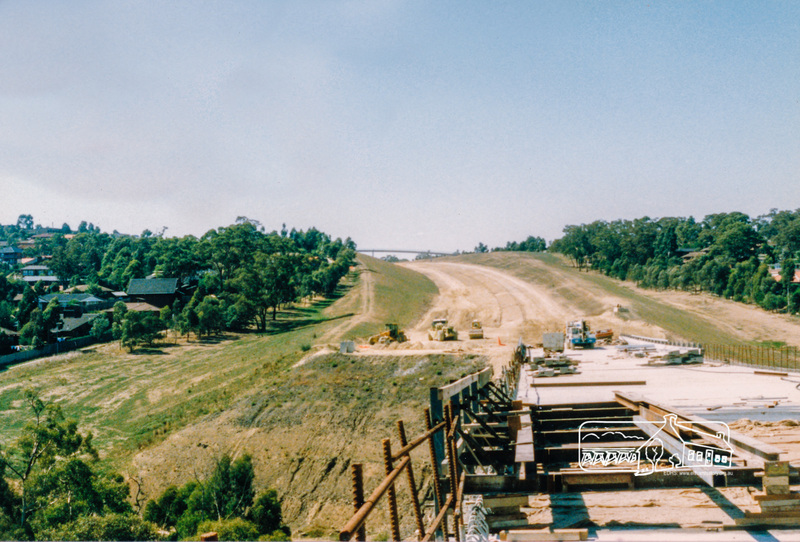 Over many years land has been purchased by the Council and the State Government to create a continuous open space system along at least one side of the creek, from central Eltham to the Yarra River. The area contains many places of historic interest. Our July excursion will comprise a walk along the creek path from central Eltham to Fabbro fields finishing at Ely Street. This is about 2 km one way and should take about 2 hours including plenty of time to stop and talk. There will be a return walk without much commentary but those who wish to can catch a bus back from the corner of Main Road and Dalton Street. 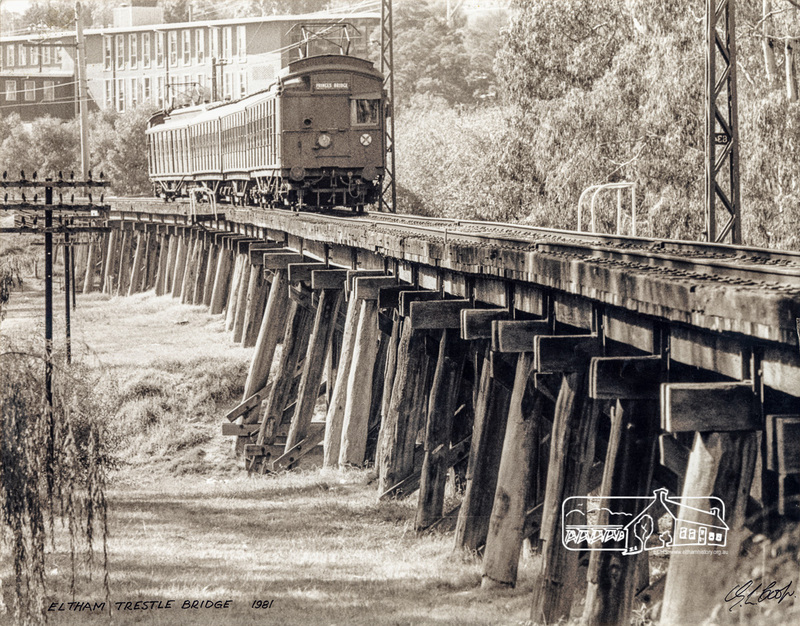 A particular point of discussion along the way will be the historic railway trestle bridge as to its history and its future given the proposal to duplicate this section of the railway. This walk on Saturday 7th July will start at 2pm near the scout hall at the southern end of Youth Road (Melway ref 21 J 5). This excursion is free and is open to the general public as well as Society members. Please note that dogs are not permitted on Society excursions. The phone number for contact on the day is 0409 021 063. Prior to Shillinglaw Cottage (c.1878-80) being relocated to where it is now operated as a popular cafe near the Eltham Library, it was within Josiah Holloway’s 1850s subdivision known as Little Eltham, which later became the centre of the first Eltham township. 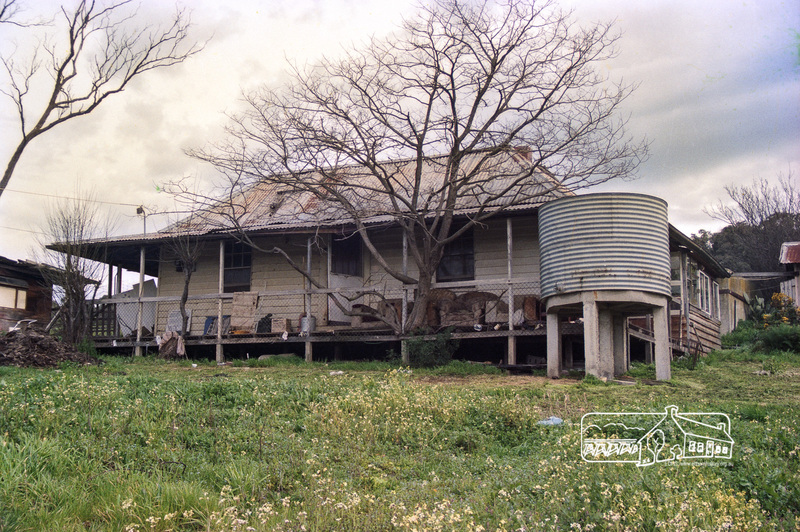 Originally a farmer’s cottage it is historically significant because it is one of the Shire’s oldest dwellings and a fine example of the work of the well-known pioneer builder George Stebbing. 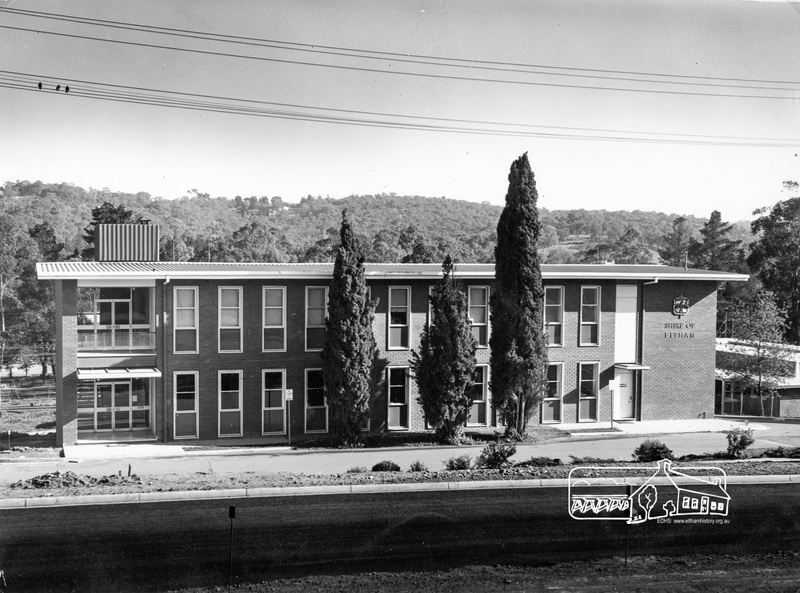 In 1964 the then Shire of Eltham purchased the Shillinglaw property with the intention of demolishing the cottage and constructing new Shire offices on the site. However extensive community action resulted in funds being raised to have the building saved and relocated further south to the Eltham Common, where it was joined by the Eltham Library in 1994. The new Shire offices opened in 1965, but following municipal restructure in 1994 these were demolished in 1996 and the land sold to a developer, which precipitated a dramatic trail of community angst, threats of legal action, the sacking of a newly elected council and several unsuccessful development proposals, by subsequent councils. After all these years the vacant site there is still guarded by the three trees that were outside the front of the Shillinglaw Cottage. At our Society meeting on Wednesday, 13th June, 2018, Jim Connor will speak about the dramatic tale encompassing the history of the former Eltham Shire office site and the adjoining War Memorial Buildings complex, which are now being considered for sale or redevelopment by the current Nillumbik Shire Council. As always, Society members and visitors are most welcome to attend this meeting at 8.00pm on Wednesday 13th June, in the Eltham Senior Citizens’ Centre, Library Place, Eltham. Past, Present, Future: Where is the balance? An ongoing challenge as members of a historical society is how do we balance the pressures of possible future development against our desires to protect and honour our valued past, our local history. As a historical society representing the interests of our community we strive to remain steadfastly non political, yet at times get caught between individual political positions. 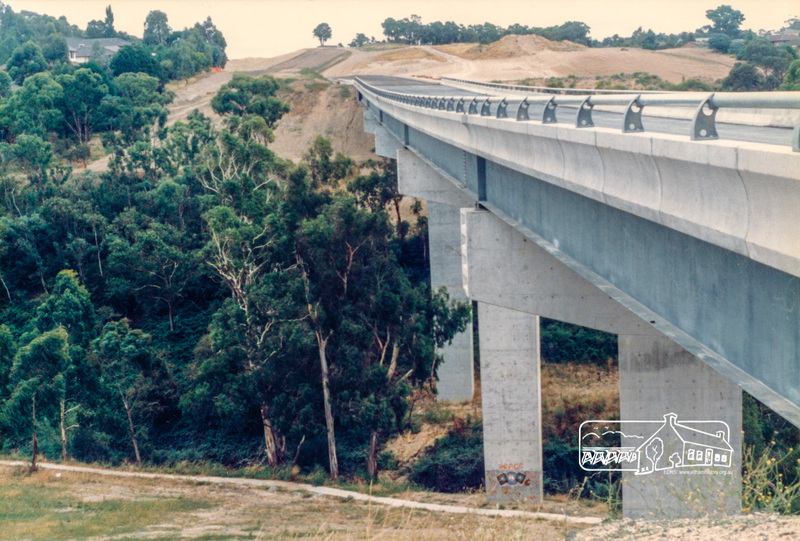 The Eltham District Historical Society has clearly stated that the valued trestle bridge is of local historical significance, should remain as is and should not be compromised, if and when the railway line is duplicated between Greensborough and Eltham. 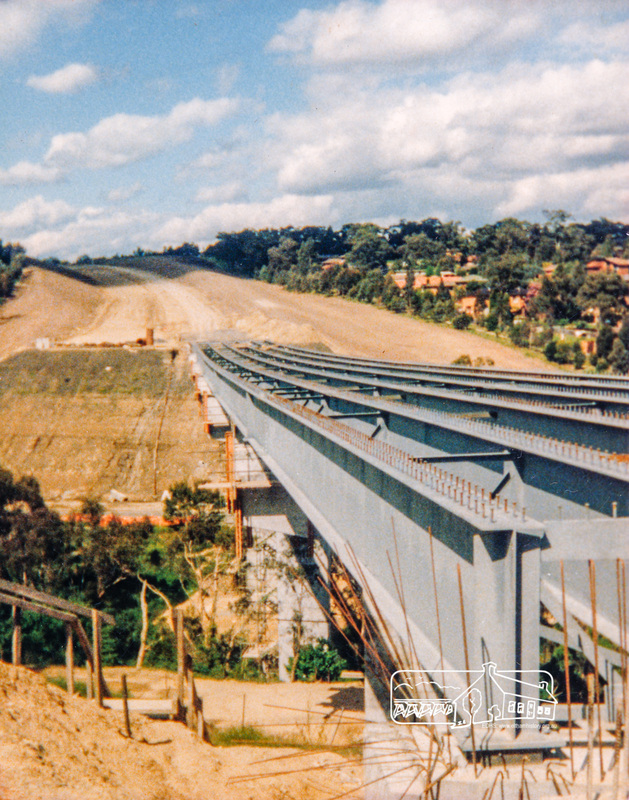 The sitting State member has indicated it can remain as is and there will be improved scheduling, with no advantage to be gained with duplicating the bridge. 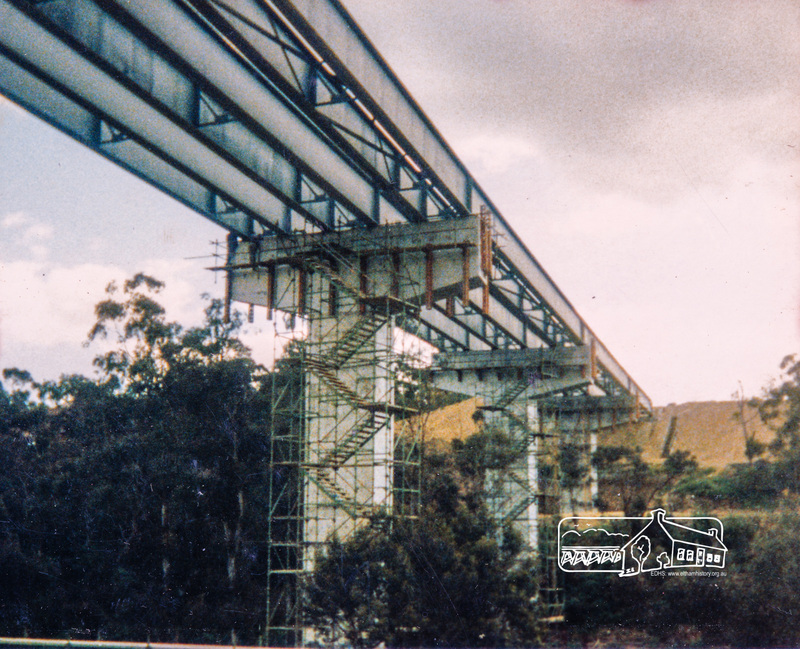 Despite claiming ‘the trestle bridge remains’ the political opponent has stated in a meeting with EDHS that, if elected, a new bridge will be constructed beside it and that his position is ‘not negotiable’. Similarly, possible duplication of Main Road through the Eltham Gateway and World War 1 Avenue of Honour is being considered, which we believe would totally destroy the historical and cultural significance of this meandering, tree enhanced entrance to Eltham. What are the options, what is the cost vs benefit? Should we need to compromise our heritage even further to possibly save a couple of minutes in travel? 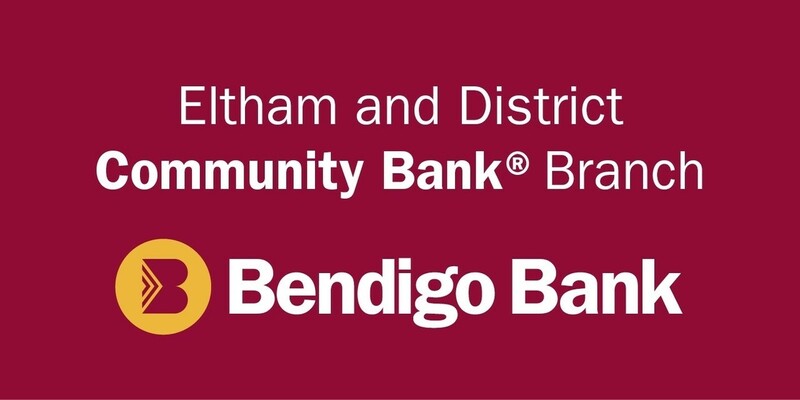 The third topic is that Nillumbik Shire Council is currently considering redevelopment of the former Eltham Shire offices site in Main Road, Eltham, which includes the Shillinglaw trees, together with the adjacent War Memorial buildings complex. What do we value of our past to preserve in the present for the ‘future’, do we restrict our creative options by honouring our heritage, where is the balance? These are decisions we will all need to consider……sooner rather than later. 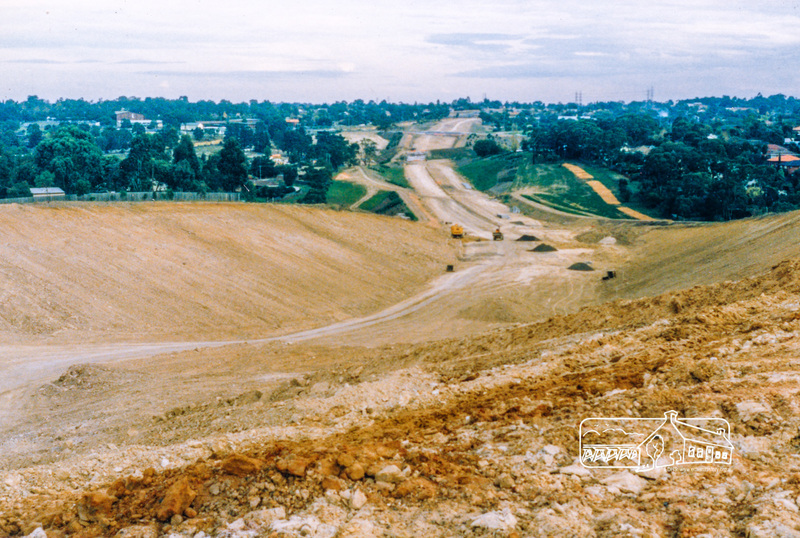 Preliminary construction work for the re-alignment of the Para Road, Simms Road and Sherbourne Road intersection prior to the replacement of the Sherbourne Road railway overpass bridge at Briar Hill, 3 November, 1967. Viewed from the western side of Para Road adjacent to Graham Body Works. 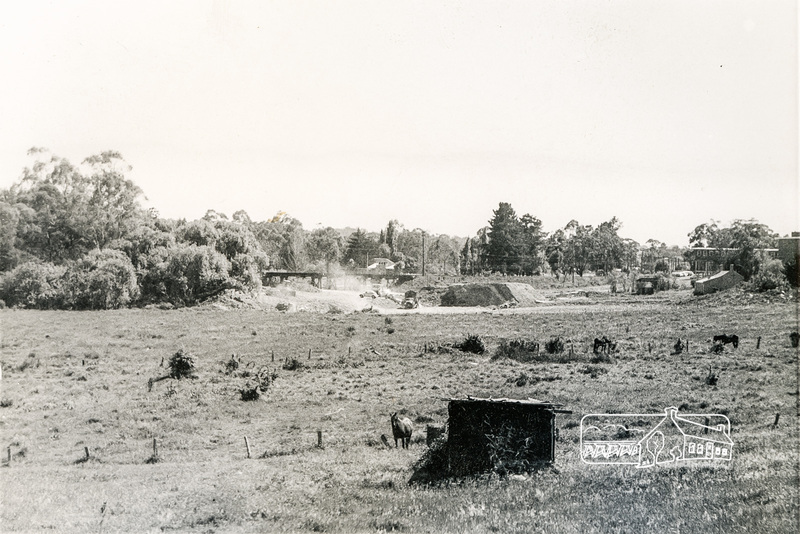 (Photo: Photostitch from multiple images on a roll of 35mm black and white negative film; from the collection of Eltham District Historical Society). #ThrowbackThursday – Today we time travel back to November 3, 1967 to the intersection of Para Road and Sherbourne Road, Briar Hill; or is it? In fact, Sherbourne Road still ends at the railway overpass, in a T-intersection with Para Road and Simms Road is a T-intersection off Para Road a few yards down from the railway bridge. On the corner of Simms Road and Para Road is an older house, which belongs to Mrs Cameron. Her daughter married a man named Davey after whom Davey Street is named. But there is a bulldozer at work and a large section of land is being cleared and levelled. Work is under way to commence the realignment of Para Road and Sherbourne Road in preparation of a new railway overpass. 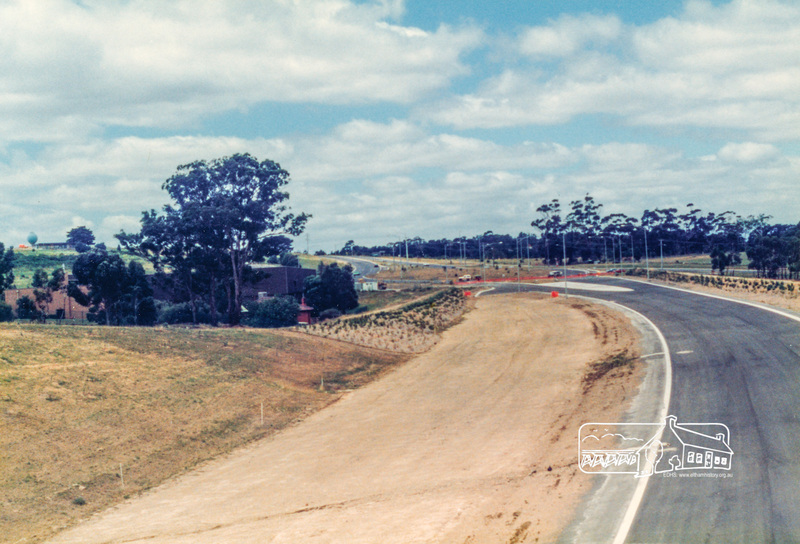 The access to Simms Road will change significantly and Mrs Cameron’s house has its days numbered as it is about to become the site of the new Montmorency Secondary College, which will open in 1969. Where the two cars are parked is where the roundabout intersection is sited today. 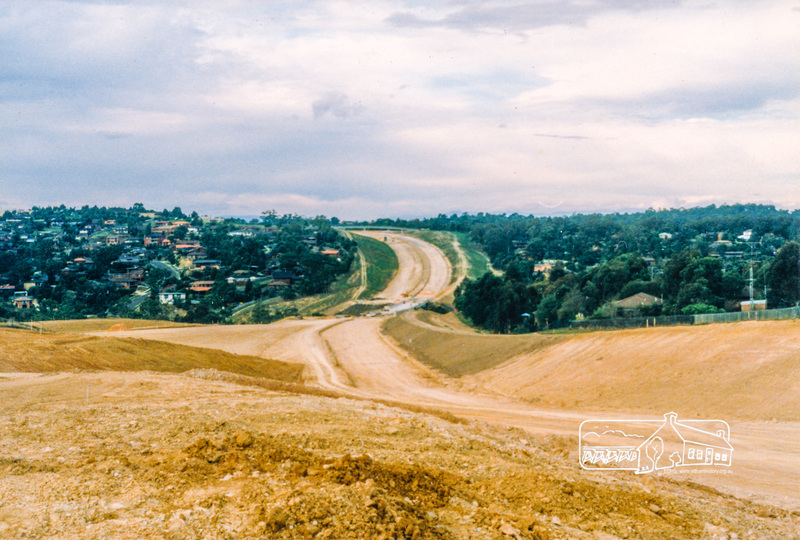 Preliminary construction work for the re-alignment of the Para Road, Simms Road and Sherbourne Road intersection prior to the replacement of the Sherbourne Road railway overpass bridge at Briar Hill, 3 November, 1967. Viewed from the eastern side of Para Road opposite Graham Body Works. 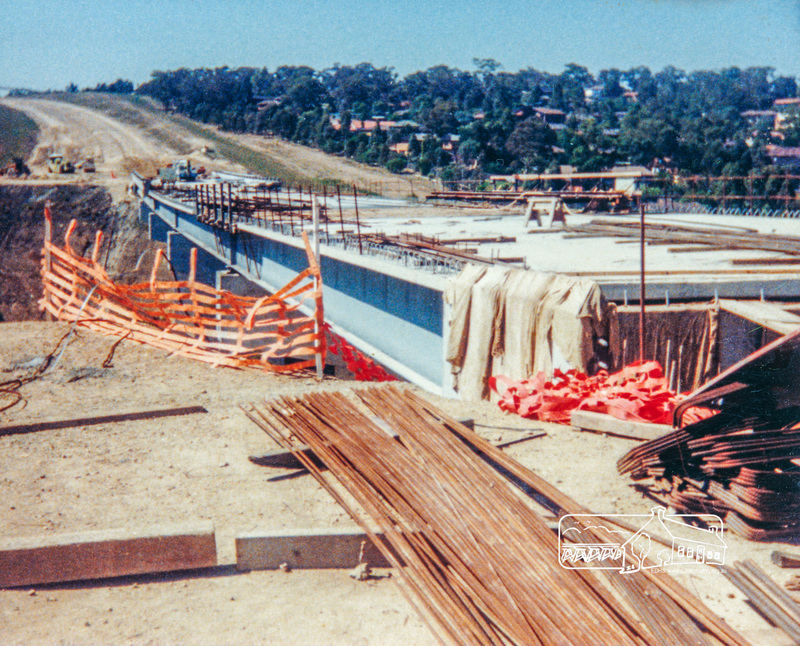 Preliminary construction work for the re-alignment of the Para Road, Simms Road and Sherbourne Road intersection prior to the replacement of the Sherbourne Road railway overpass bridge at Briar Hill, 3 November, 1967. Viewed from the railway line opposite Graham Body Works.